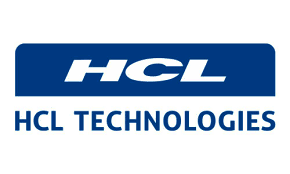 HCL Technologies Limited, Indian multinational IT services company said it will hire up to 2,000 people at the global IT centre being set up at upcoming Nagpur campus. Unlike its peers, HCL is focusing on small towns to open training centres and already has such centres in Madurai and Lucknow. HCL senior vice-president Sanjay Gupta said Nagpur offers quality local talent and scalable infrastructure. Recruitments for the 50-acre Nagpur campus to be operational by next January at MIHAN will be conducted in three phases and 2,000 jobs will be offered. He further said HCL has in the past 18 months started operations in Madurai in September and Lucknow in October and Nagpur will the third in its expansion plan in small towns. When asked about the slowdown in IT hiring following the restrictions in the US, which is the largest market for domestic IT companies, Gupta said his company has very little dependency on H1B visas since most of its work is done here.